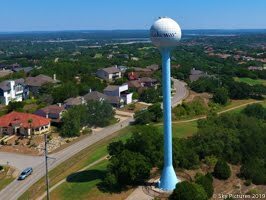 Lakeway Update: Meetings, Meetings and More! Well, another week has passed and the weather continues to amaze me. Cold, wet, warm and sunny, all in one week. We are now in the cold - wet arena, I'm tired of it. However, I get tired of the 103 degree temps in Summer pretty quickly too. Weather Station link. We got .4 inch of rain last night and the temperatures hovered about 50 degrees. I hear it's going to get a little cooler today. Busy week for committee meetings. First was on Tuesday, the reconstituted Park and Recreation met at 6:30. Here was that agenda. was granted a revised preliminary plan. This is a combination of the development where CVS and Flores is, and the development where Wendy's is and properties West of both. The plan was combined to pool the impervious cover to allow future use of some of the property. Revision was granted unanimously. A Re-Plat was granted to 15502 S. Flamingo Drive to create two 1 acre commercial lots. Approved. A Short Term Rental SUP was granted to 4 Casa Verde, item 7. Item 8 was postponed, it was a request for a SUP for a permit to operate a food vending business at World of Tennis. Item 9 was a request from Travis County to re-zone the 70 acres West of Bee Creek Rd. from AG to P1 (Park) for the development of the Public Sports Complex. Approved unanimously. Item 10 re-zoned 30 acres on the South side of the previous property to Commercial. Item 11 was a sign request from the project that is just North of Flintrock Road at 620 - they are moving dirt there. They were looking for significantly larger signs for leasing and the building than is allowed. Signs for the building and monument were approved, leasing signs were not approved. Item 12 appointed Carolyn Nichols as a Comprehensive Plan Committee member to replace Dave Taylor. Approved unanimously. The Board of Adjustment met at 3 PM. Item 2 was a height variance for the Serene Hills Independent Living at 5099 Bee Creek Rd. The board granted 40 feet because of the challenges of the property elevations. Item 3 was a variance requesting increased square footage for the project. Currently ordinance restricts commercial space to 100,000 sq. feet. This ordinance was implemented to keep "big box" stores out of Lakeway after Walmart wanted to build a store on 620. Since that time several projects for Senior Living projects have been granted allowances for their projects to exceed 100,000 sq feet. This item required a super majority (6 out of 7) and was voted down - 5 in favor and 2 against. The requester came back and lowered the requirement from 200K to 190K. The Board again went into executive session - I don't know for sure, but I assume the attorney told them if they denied this since others were allowed the city would be at risk of lawsuit. The committee returned and again voted to deny this request, 5-2. Item 4 was a request from a homeowner to overturn a City Building Commission ruling that denied a requested height for an addition because of view blocking. The Board punted and sent it back to CBC for further discussion. Next the Engagement Committee met at 6:30 - here was their agenda. I'll try to find out what happened this week. Thursday the Wildlife Advisory Committee met. Here was their agenda. This was a work session and the committee was given a presentation on allowable options. There will be another work session to finish the presentations. Busy week for meetings! From the court docket, it looks like Kilgore 2 went to court Wednesday. I guess we will hear the results when the judge rules. The Sundancer re-opened Thursday after the flood. Glad to see it's back, go by and patronize our friends - it's down near the end of Stewart Rd. - they have great food and drinks! Glad you're reading the blog! Let me know if you have questions or suggestions. If you want to be added (or removed) from the email list, send a note to lakeway@bain.us and I'll take care of it.